In State v. Afeworki, the WA Court of Appeals Division I held, among other rulings, that a “Band It” prisoner restraint system worn by the Defendant during trial does not violate the Constitutional right to a fair trial or the presumption of innocence. The Defendant Tomas Afeworki was charged with Murder in the First Degree. During pretrial proceedings, he experienced significant and ongoing conflict with each of his several attorneys. On the eve of trial, Afeworki repeatedly threatened his attorney, who was permitted to withdraw as a result. Afeworki was, thereafter, required to represent himself. He was found guilty. On appeal, Afeworki contends that this deprived him of his right to counsel. After threatening his attorney, Afeworki was also required to wear a “Band It” physical security restraint, not visible to observers, while in the courtroom. Afeworki argues that wearing the “Band It” violated his right to a fair trial. 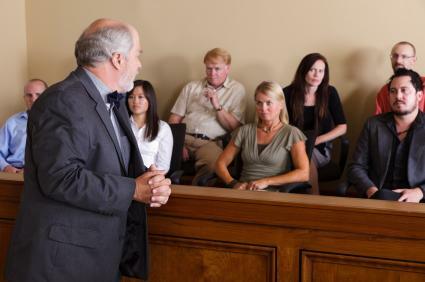 In short, restraining a defendant during trial infringes upon this right to a fair trial for several reasons: (1)it violates a defendant’s presumption of innocence, (2) it restricts the defendant’s ability to assist his counsel during trial, (3) it interferes with the right to testify in one’s own behalf, and (4) it offends the dignity of the judicial process. Washington case law also says that, given the constitutional implications of using restraints in a criminal trial, shackles or other restraining devices should only be used when necessary to prevent injury to those in the courtroom, to prevent disorderly conduct at trial, or to prevent an escape. That said, a trial court has broad discretion to determine which security measures are necessary to maintain decorum in the courtroom and to protect the safety of its occupants. A trial court may consider the following factors in determining whether the use of restraints is justified: the seriousness of the present charge against the defendant, their temperament and character, age, physical attributes, past record, past escapes or attempted escapes, evidence of a present plan to escape, threats to harm others or cause a disturbance, self-destructive tendencies, the risk of mob violence or of attempted revenge by others, the possibility of rescue by other offenders still at large, the size and the mood of the audience, the nature and physical security of the courtroom and the adequacy and availability of alternative remedies. The court described the “Band-It” restraint system as a device that essentially as a 50,000-volt taser contained in a band that is worn under a sleeve or pant leg. Unlike most restraints, which are either visible to jurors or readily perceived by jurors, the Band-It is not visible when the wearer is clothed. Also, unlike other restraints, the Band-It does not in any way directly constrain the wearer’s movements. In fact, the Band-It can cause a wearer’s movements to be constrained only when it is activated. Today, the National Highway Traffic Safety Commission (NHTSA) launched its annual “Drive Sober or Get Pulled Over” law enforcement crackdown on drunk driving. The crackdown involves more than 10,000 law enforcement agencies across the country that will be out in force through Labor Day zeroing in on drunk drivers, with zero tolerance for drivers caught with a BAC of .08 or higher – the legal limit. The crackdown runs from August 21 to September 7, 2015, and is supported by $13.5 million in national advertising funds from NHTSA. While the number of drunk drivers on the road has been sharply reduced, motorists are still at risk for encountering someone driving drunk at any time of day. That risk rises exponentially between the hours of 6 p.m. and 5:59 a.m. During the Labor Day period in 2013, half of all the fatalities at night involved drunk drivers, as compared to 14 percent during the day. The Centers for Disease Control and Prevention conducted a survey across people in the United States, asking how many times in the last 30 days they drove after admittedly consuming too much alcohol. Apparently, people who live in Hawaii are the likeliest of those of any state to drive drunk. Mid-westerners also have high rates of drunk driving, according to a new report of drunk driving rates in the United States. Age and gender played a role as well. Men were responsible for four out of five of the drunk driving incidents, based on the survey data, and people between ages 21 and 34 were much likelier than other age groups to drive while intoxicated, according to the survey data. In fact, men in that age group, who make up just 11 percent of the U.S. population, accounted for nearly a third of the drunk driving incidents. People who reported driving drunk also reported other types of risky behaviors, such as Binge drinking and not always wearing seat belts. About 85 percent of those who drive drunk also binge drink, and those who didn’t always buckle up reported driving drunk three times as often as those who always wore their seat belts, according to the report. For more information, see which States have the highest drunk-driving rates.